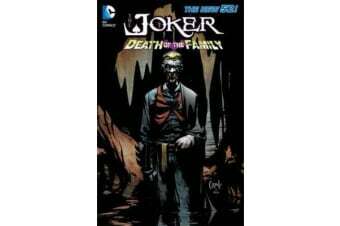 After having his face sliced off one year ago, The Joker makes his horrifying return in this new epic that features Batman’s entire network of partners in crimefighting, including Batgirl, Catwoman, Nightwing, Robin, the Teen Titans and more. 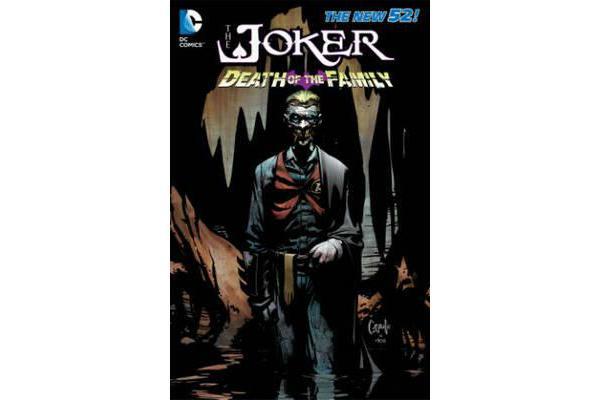 While The Joker threatens the very existence of Gotham City, these heroes —and villains—must find a way to survive. Collects Detective Comics 16-17, Catwoman 13-14, Batgirl 14-16, Red Hood and the Outlaws 15-16, Teen Titans 15, Nightwing 15-16, Batman and Robin 15-17, Batman 17. It also collects the portions of the following issues Suicide Squad 14-15, Batgirl 13, Red Hood and the Outlaws 13-14, Teen Titans 14, 16, Nightwing 14 and Batman 13.